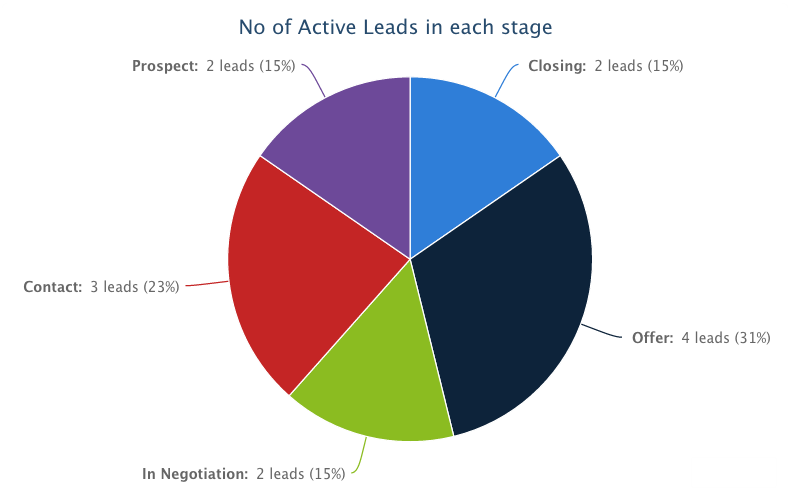 Sales lead tracking software to manage leads from multiple sales pipelines. 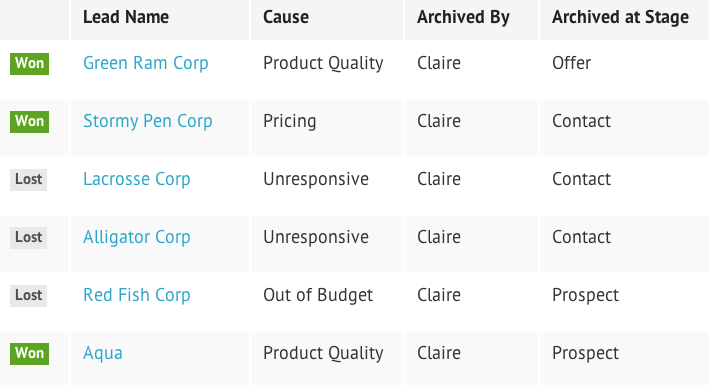 ClinchPad offers blanket coverage to all the stages of your sales pipeline. Inspired by Kanban boards, the cards and columns user interface of our online sales CRM allows you to see all the leads and their current stages at a glance. 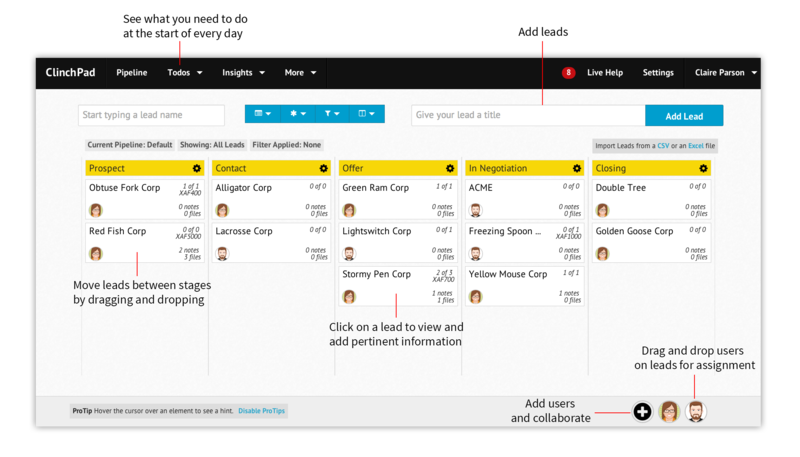 Move leads from one sales pipeline to another with a simple drag and drop action. It’s that easy to manage even complex sales processes! Create and assign tasks to your sales team. Give a deadline to all the customer relation management efforts and follow up with your team without leaving the lead management software. Add notes to help your team members get better at managing the sales cycle. 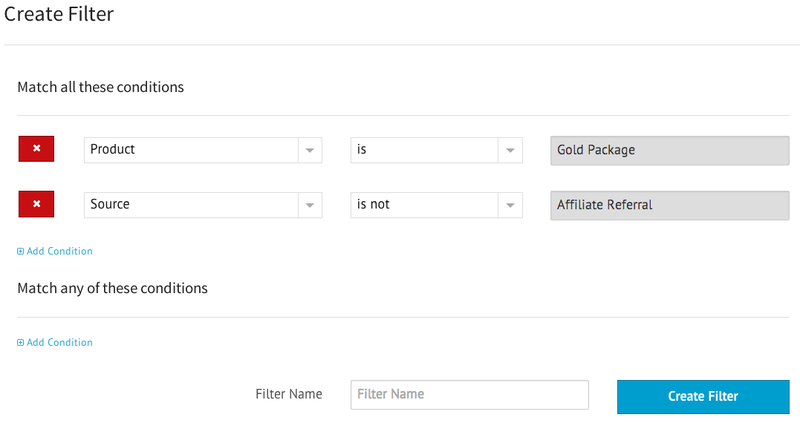 Get notified whenever a new lead is created or when there is any activity in the sales funnel! It's common for a sales process to get stuck at one stage or another. Use the sales reports section of our sales management software to see which stages of the sales cycle are clogging up the sales pipeline. ClinchPad’s rich graphs and charts showcase the success levels at each stage of the sales funnel. These insights from our sales dashboard will help you improve your lead management and tracking efforts without wasting precious time. ClinchPad is a web based lead tracking application like no other. Our small business CRM software makes managing multiple deals and multiple sales pipelines thoroughly enjoyable. We designed our online lead tracker to track leads efficiently throughout the entire sales cycle. That’s the reason we have built an archived leads section. This feature helps you go back in time and see a summary of the leads that were lost and make appropriate adjustments to the sales process.